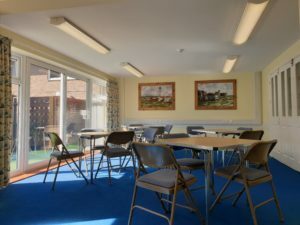 The rooms at the centre are available to hire for private parties and events, workshops, meetings, and regular groups. 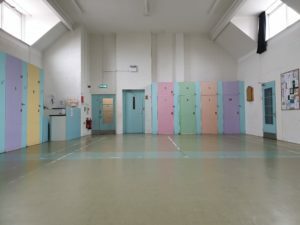 The hall is a large, bright space with solid flooring that holds up to 80 people comfortably. It’s on the first floor, with stair and lift access and measures 14m x 8m. There is a small kitchenette consisting of kettles, a sink, fridge and countertop; with crockery, cups and cutlery available for use. 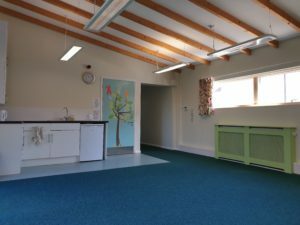 There are adult and children’s tables and chairs available and one unisex toilet. Perfect for sports, dance and parties with a bouncy castle. 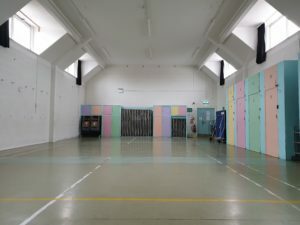 The large room is a big, carpeted, comfortable space on the ground floor which measures 7.5m x 4.5m and can hold up to 40 people. 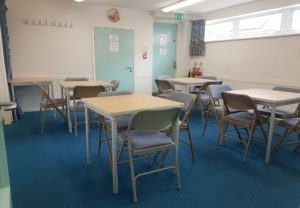 There are chairs and large and small tables available for use, these can also be folded and stored in a cupboard if you needed the open space. 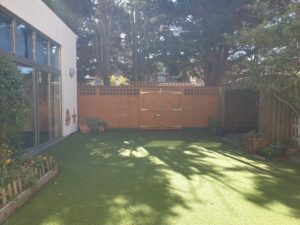 There is full access to the charming garden through patio doors. The small room is a cosy, carpeted, modest space which measures 5m x 4.5m and can hold up to 20 people comfortably. 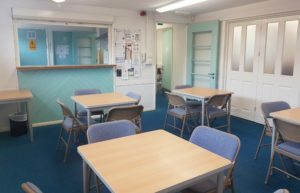 There are tables and chairs available for use, although these tables cannot be stored away. The small room has access to the Kitchen via a hatch. The large and small rooms are separated by folding doors, these can be folded back to create a larger ‘L shaped’ space. 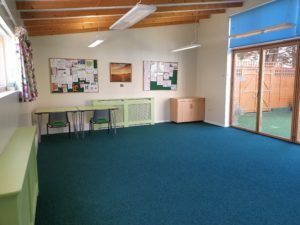 The garden room is a pleasant, bright, carpeted space, measuring 7m x 5m that can hold around 40 people. 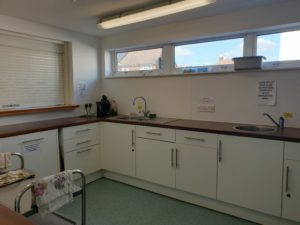 There is a small kitchenette with a fridge, kettles, sink and countertop; with cups, crockery and cutlery available for use. There are tables and chairs available if required which can also be folded and stacked in a storage cupboard. 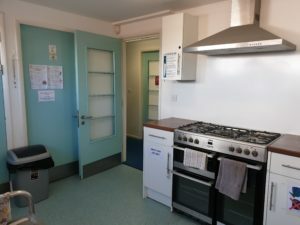 We have a fully fitted kitchen with a dual oven, fridge, microwave, dishwasher, toaster and kettles; with plenty of mugs, glasses, crockery and cutlery available for use. Unfortunately, we do not have pots, pans, trays, utensils etc. 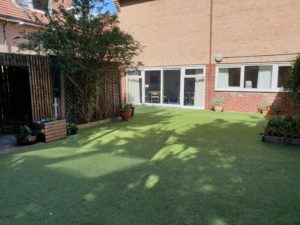 We have a lovely garden area that all regular groups and private events are welcome to use, perfect for those spring/summer parties. 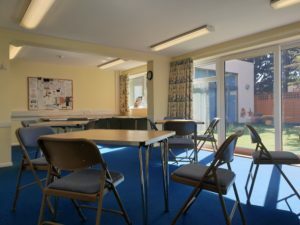 For Regular Groups, 15 minutes is allowed, at no extra charge, either side of your booking for setting up and setting down equipment – For Parties and events this is increased to 30 minutes either side of your booking. Sessions must end by 11 pm and the centre must be cleared by 11.30pm. We have a full performing rights (music) licence so you may book your own entertainment for your event including discos, live performers & children’s entertainers. We have a sound system available for hire for £10. Alcohol may be brought on to the premises but must not be sold at any event or function.